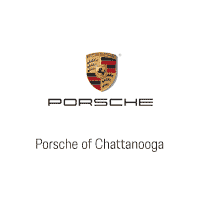 Porsche of Chattanooga, a family owned business, was opened in of April of 2006. At Porsche of Chattanooga, our factory trained staff is knowledgeable, friendly, and concerned foremost with finding the right vehicle for you. Our factory trained technicians diagnose and repair vehicles with state of the art equipment and continually train on current and future products. Porsche of Chattanooga team understands community involvement helps those around us, and in return, helps us to grow our business to better serve our customer. We are members of the Chattanooga Chamber of Commerce, the Better Business Bureau, the Chattanooga Auto Dealers Association and we are partners with the T.C. Thompsons Children’s Hospital Foundation. We provide silent auction gifts for the Chattanooga legal Aide Society’s annual banquet as well as the Medical Society’s annual banquet. Please come see us, give us a call, or send us an email. Our friendly and knowledgeable staff will be happy to help you.